Vestibular rehabilitation therapy (VR T) is an exercise-based program designed to promote central nervous system compensation for inner ear deficits. VRT can help with a variety of vestibular problems, including benign paroxysmal positional vertigo (BPPV) and the unilateral or bilateral vestibular hypofunction (reduced inner ear function on one or both sides) associated with Ménière’s disease, labyrinthitis, and vestibular neuritis. 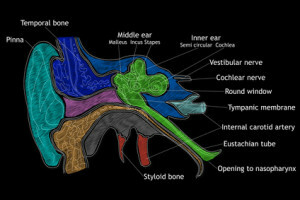 Even individuals with long-term unresolved inner ear disorders who have undergone a period of medical management with little or no success may benefit. VRT can also help people with an acute or abrupt loss of vestibular function following surgery for vestibular problems.